I actually have butterflies over it. Yeah. Normally I'm with someone who knows the city...do you know how country I am??!?!?!?! ha I mean yeah..I lived in downtown Chicago for years - but I've been in the burbs for almost 4 years!!! I grew up in a small town in Illinois..and I don't care HOW city-fied you are. NYC IS BIG!!!!!!!!!!!!! Ok. Now that I have that aside....shew. 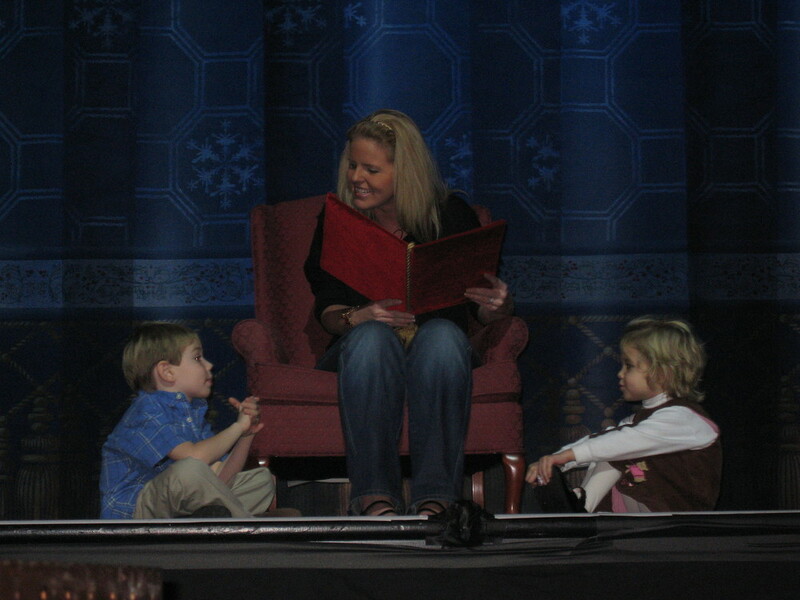 When I was in Chicago, I got the opportunity to read the Night Before Christmas on stage before the show. I did it when I was do morning radio and they had 'local celebs' read before every show. It was a highlight for me. I of course didn't have kids at the time so I took my husband (was then fiance) neice & nephew. So today I get to take off my 'mom hat' and put on my 'talent hat'. I love to wear that hat once in a while again... cause it reminds me that I am blessed. I am worthy. And I'm doing something I love & worked so hard to achieve. Plus... If I ever have to get a 'real job' I'm in BIG TROUBLE cause I have no idea how to do anything else! hahaha. I'd be great at being the hired Clown at kids birthday parties. ha. Ok-check back soon for the details!